Found this one by investigating Reynols/ Courtis on a whim, what we got is a surprisingly musically strong outing, featuring cascades of shimmering Sunroof!/Birchville feedback, skeletal song miniatures, meditative noise, and treated guitar. 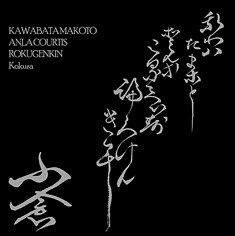 Courtis' usual backyard-junk monotone-as-satori added to Makoto's shamanic space journey guitar, and whatever Rokugenkin does filling out the sound. Solid and really impressive.